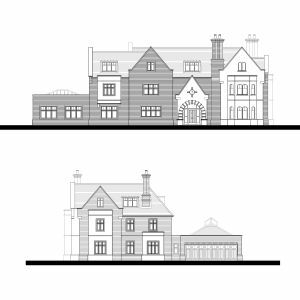 Borough of Poole: Darryl Howells has secured outline planning permission to demolish a house in the Branksome Park and Chine Gardens Conservation Area and erect a replacement 3 storey, detached 6-bedroom mansion with attached swimming pool complex and triple garage. The matters approved were access, appearance, scale and layout. The client employed Eastleigh based architects Vision Architects to design the proposed scheme however instructed Darryl to prepare, submit and negotiate on the project. The proposal sought the demolition of a dwelling that the Borough of Poole had previously identified as being of local importance and resisted the loss of the building. Being identified as a non-designated heritage asset means that the justification for the demolition needed considerable more qualitative evidence to be submitted and accepted. Darryl utilised his local knowledge of the site and its surrounding areas as a starting point, then visited the Dorset Heritage Centre to obtain records of the site to set out a chronological order of the dwelling’s evolution in order to demonstrate to the Council that the building as seen on site today, is different from that originally built. 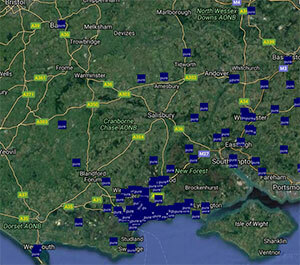 Darryl then challenged the process of the local listing status undertaken to designate it. The final document of evidence was a Heritage Statement prepared by James Webb of Forum Heritage Services who justified the impact of the demolition to the Conservation Area. In light of the submissions, the Local Planning Authority’s conservation officer accepted the weight of evidence and raised no objection to the proposed demolition of the building. If you have a site that you consider has development potential but the Local Planning Authority has imposed designations that on the face of it prevent the redevelopment of the site, then please contact Pure Town Planning for an independent assessment and advice on however to bring your designs to a reality.